Personality: He can be defensive at first since the whole world is basically his predator but lovable once someone gets to know him. Only one of his litter to survive, his species is hardly found around since they tend to be burrowers however Rocky is afraid of tiny spaces due to a cave in that killed his entire family and left him gasping for air and was only able to free himself out of pure luck that he had been closest to the exit. Still small he has a lot to learn about the world that he's been cast into. Other: Doesn't get around very well since the cave in destroyed his left inner ear, herbivore, travels mostly at night but does enjoy sunning during the day, clever puzzle solver like ancestors. 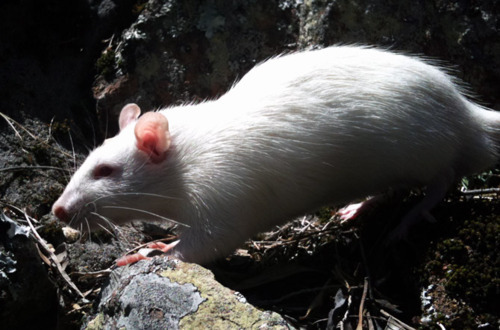 Species: One route of Evolution the Rat species took.